Beautiful couture dress. 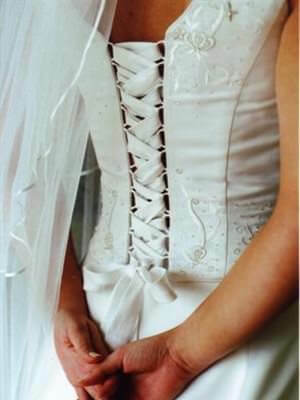 Simple, classic A-line skirt and lace-up bodice embroidered with Swarovski crystals. (Skirt made for very easy alterations). Embroidery from bodice is also around hem line of skirt and train. 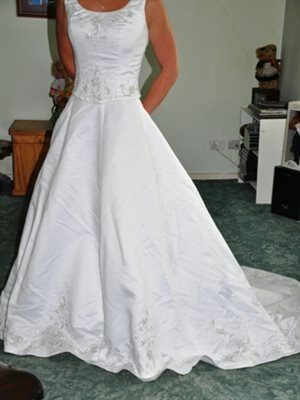 Can be worn with hoop, although I had additional tulle added to the petticoat to keep a more natural look. Worn once, dress has been professionally cleaned and boxed since.<br><br>Veil (47 inch), tiara, necklace and wrap included (not pictured).